The best I can place the first Michael Summa photo (from 1982) is CT 67 EB at CT 115, also CT 8 NB before the freeway opened. The second of Michael's photos is even older, from just south of CT 15 before the two-lane highway was replaced by a freeway. 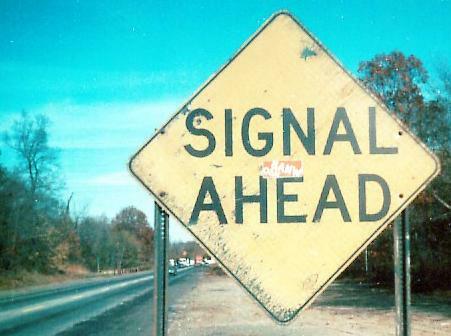 You can tell from the wear that these signs were old even 30+ years ago. 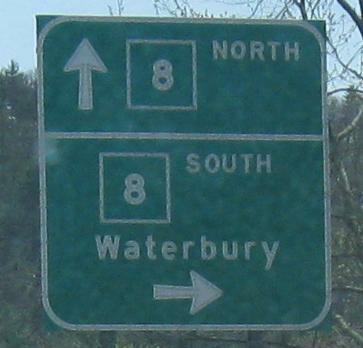 CT 8 is the scenic way to go between I-84 and I-95 on the way from Boston to New York. 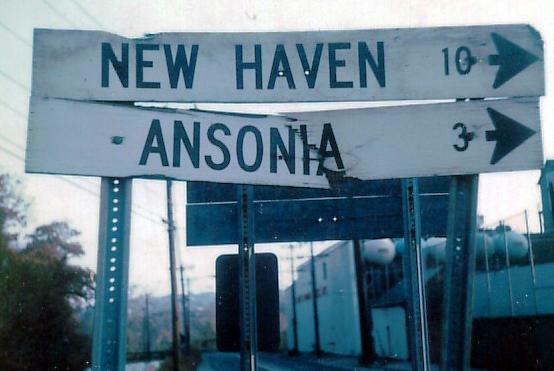 It follows the Housatonic and Naugatuck Rivers, with some beautiful views and several name changes along the way. It's only four lanes wide, with a Jersey barrier, but not enough people use it to make it congested, and the highway doesn't intrude greatly on the riverine environment. 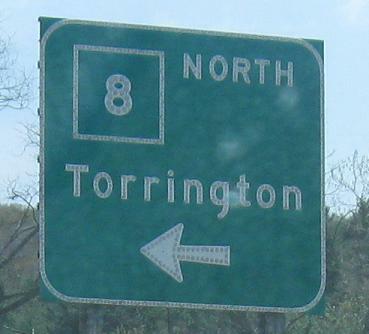 CT 118, a southern bypass of Torrington, EB at CT 8 Exit 42.